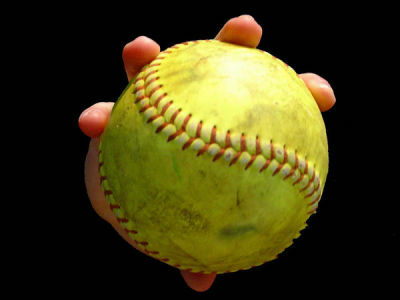 Wave Fastpitch Organization is a Non Profit softball organization based out of Manteca Ca. supporting young ladies from all over the Central Valley. Our young ladies and dedicated coaches come from cities such as Tracy, Lathrop, Modesto and even as far as Turlock and Newman! The Manteca Wave Organization initially started in 2001 by Chris Cross & Jimmy Christensen. The name “Wave” was given as a representation of the Manteca Water Slides that were so famous then. The drive was to provide the young ladies in this area with more competitive options in the Softball arena. Starting in 2001 - 2003 the 14u team played and placed in many World Series Softball events. In 2002 the 14u Manteca Wave team won the World Series in Las Vegas! Michele Christensen (now Bryson), one of the original team members from this 14u team is now a head coach of one of our 14u teams and is heading to her own World Series tournament this year in 2016 as a coach! All was quiet for the Wave until 2011 where the organization was resurrected and brought to Life by Ronnie Tiscareno, a East Union High School Softball coach who was also looking for more challenging opportunities for his daughters. Ronnie took his 14u team of young ladies and won many, many tournaments dominating the NSA circuit in the Central Valley during his time as Head coach and president of the Manteca Wave Organization. In 2014 the Manteca Wave reigns and presidency was passed along to Gloria Fuentes Swift. With an awesome board and highly knowledgeable & dedicated coaching staff the Wave Organization has grown tremendously! The future is looking bright for our organization as the emphasis is about building a strong foundation for our young ladies in athleticism, hard work ethics, and sportsmanship! In 2016 this organization rebranded with a new logo and a new name change by dropping “Manteca” from its name and adding fastpitch. Not forgetting where the organization originated from, but with our players and families coming from many different locations than just Manteca we have expanded to become Wave Fastpitch! !